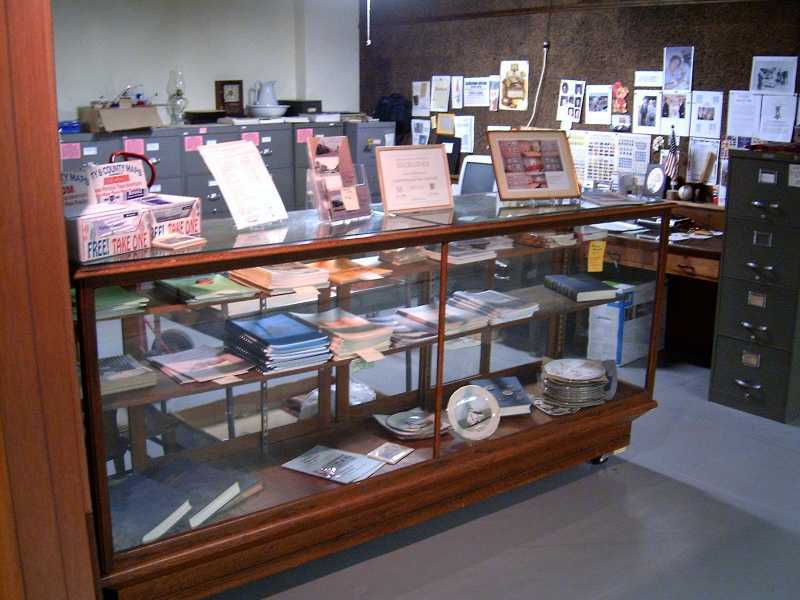 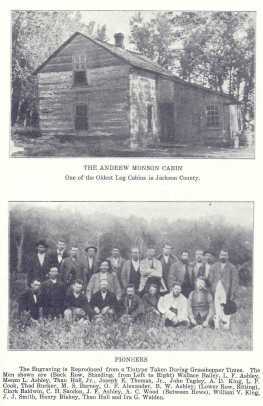 The following is a sampling of just a few books available for purchase from the Jackson Co Historical Society. by calling 507-662-5505. 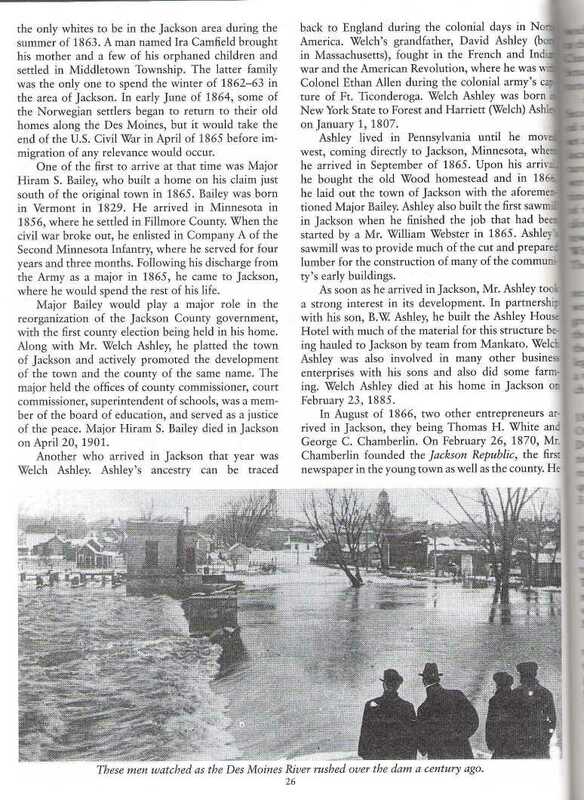 If you saw the book here, kindly mention the website when you call. 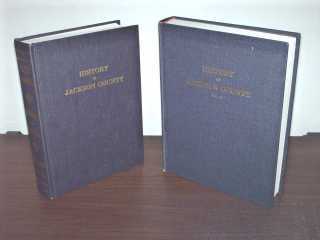 History books Vol I and II, cost: $50 for the set of 2. 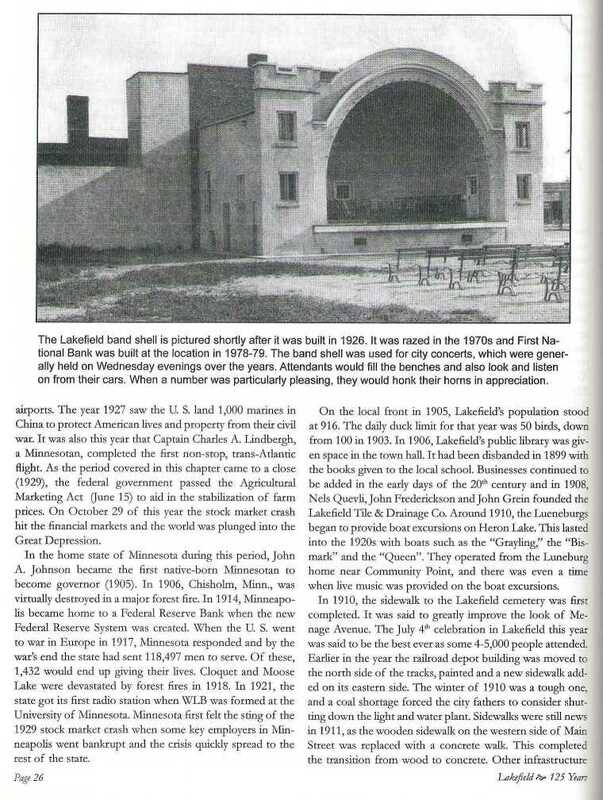 Call the historical society to order!!! 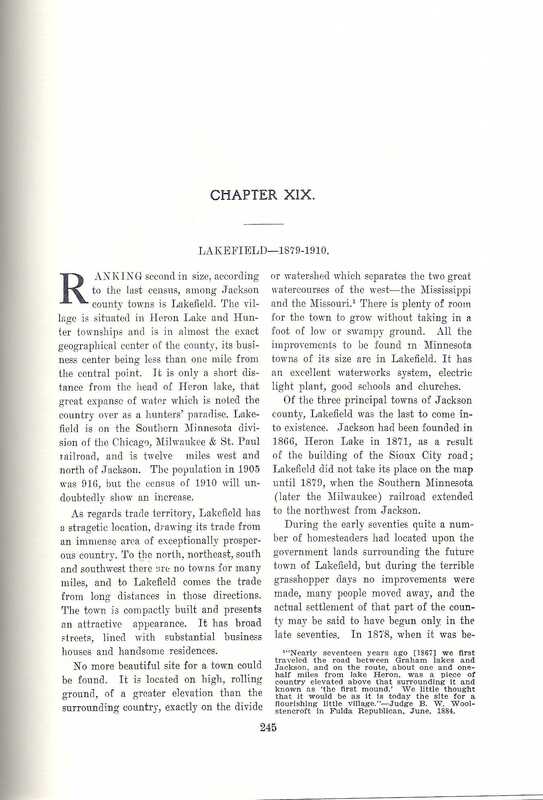 Vol I is the popular 1910 edition written by Arthur P Rose who did a spectacular job of assembling the early county history beginning from the very first people to step foot there. 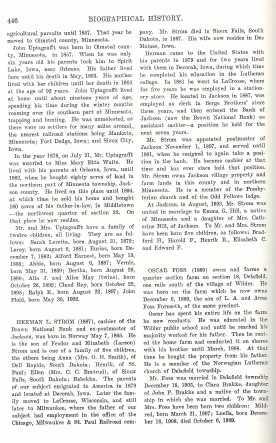 Including a wide variety of topics, the book also contains several biographies of early settlers. 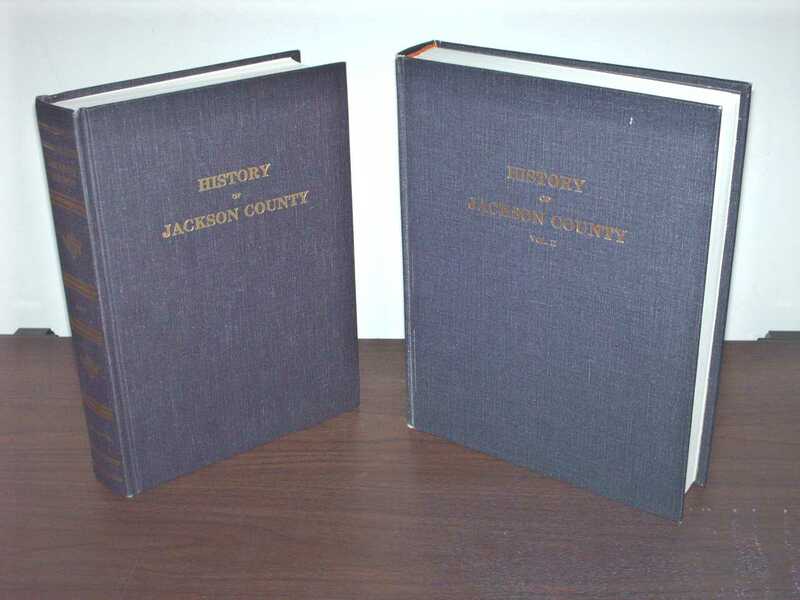 Vol II by the Jackson Co Hist. 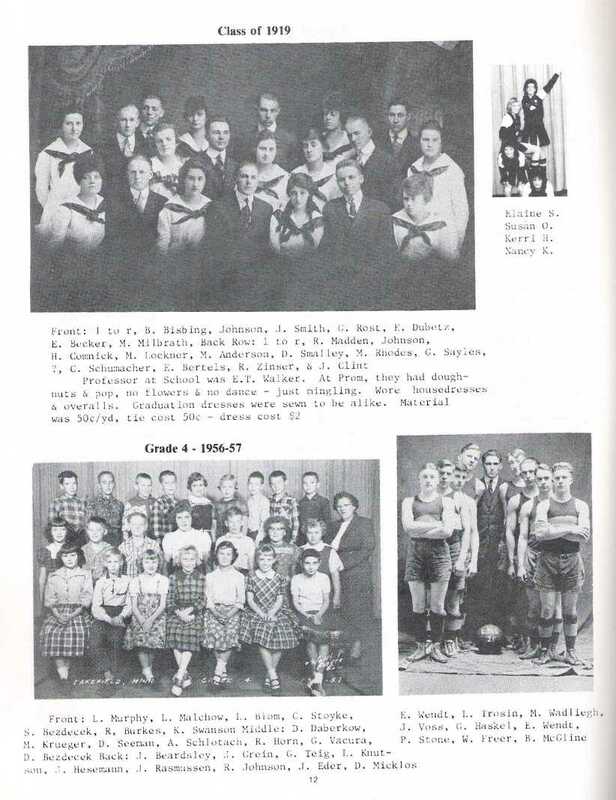 Society and Colleen Boucher, in 1979, picks up where Mr. Rose left off. This book also contains a wide variety of history including the people, the buildings and businesses, church's, the infrastructure which brought the county forward into modern day living and beyond. Several biographies also are contained within. 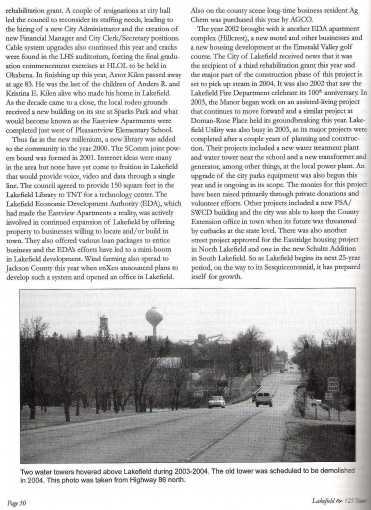 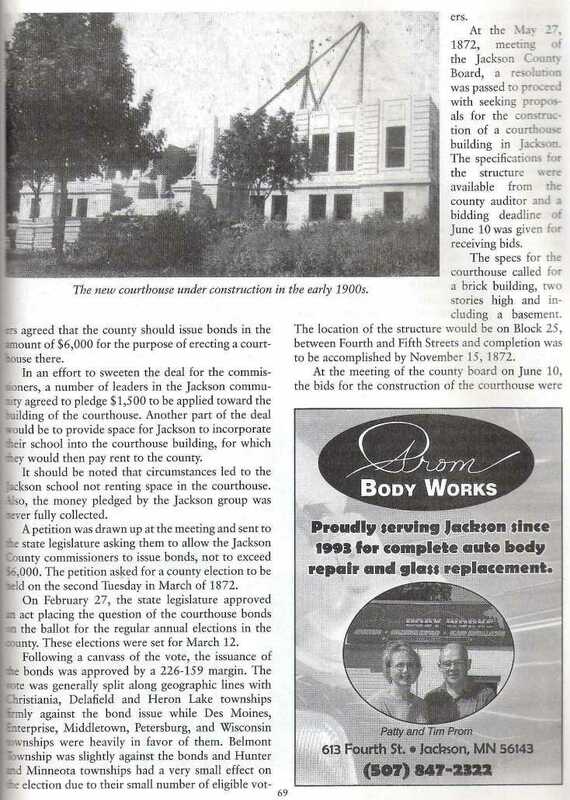 what set the foundation and propelled the future for everyone who called Jackson county home. 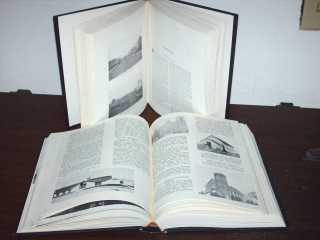 This history book set is the only one of its kind and are often sought by historians and researchers. 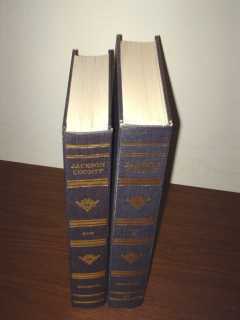 Get your set while they are still available!!! This 120-page soft-booklet gives a wonderful overview of Jackson's history. 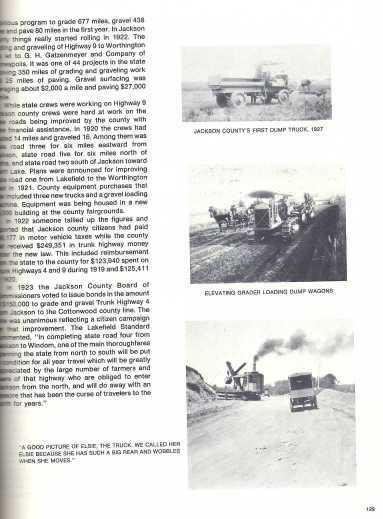 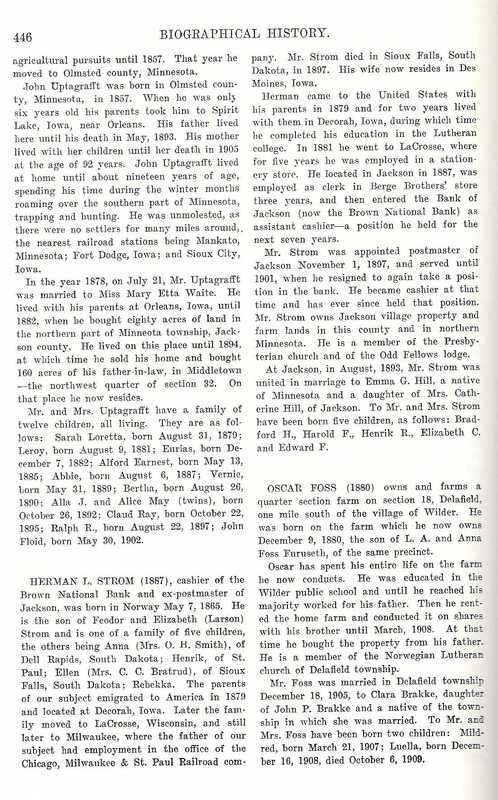 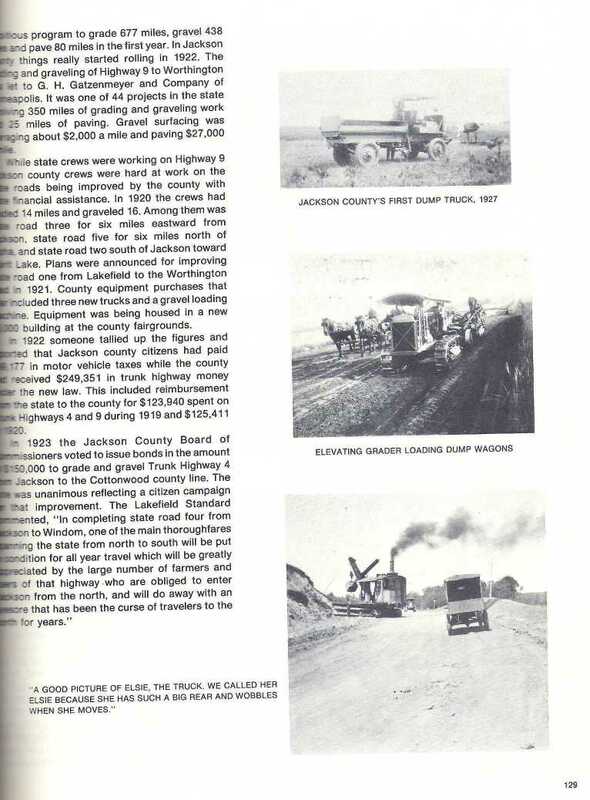 In addition to many photos, the booklet also contains Jackson history from the early days of the railroad through the area, the industrial park, church's, business's, schools, agriculture, historic events, to name a few. 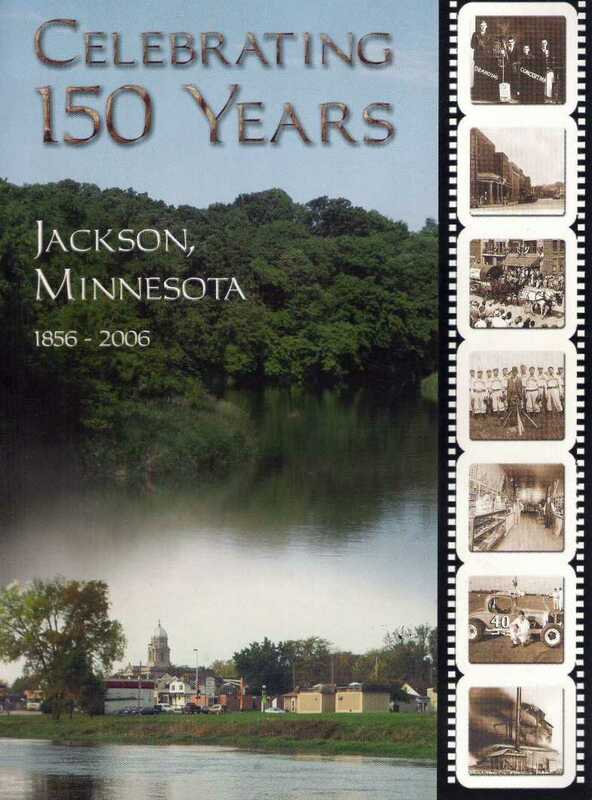 This is a wonderful book that provides a wonderful overview of Jackson history throughout the years. 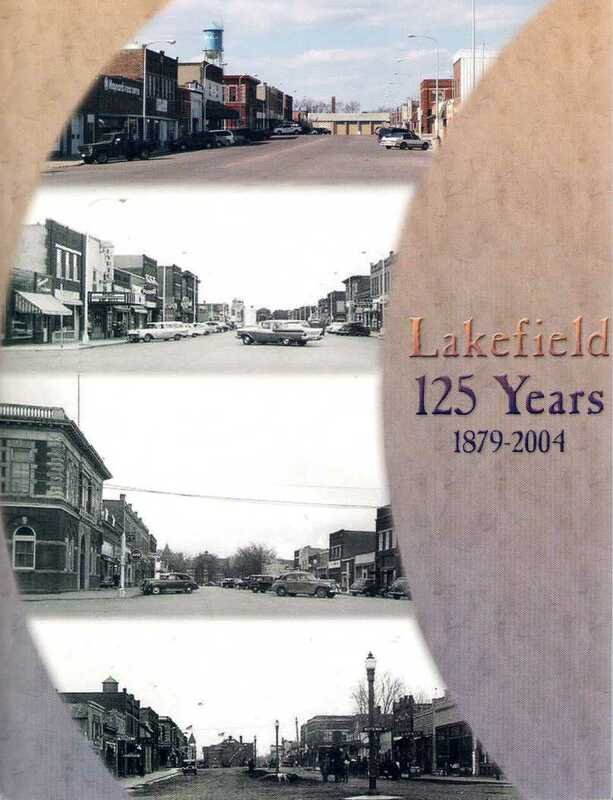 This 64-page soft-booklet gives a wonderful overview of Lakefield's history. In addition to several photos, the booklet also contains history clips over the years found in the Lakefield Standard newspaper. 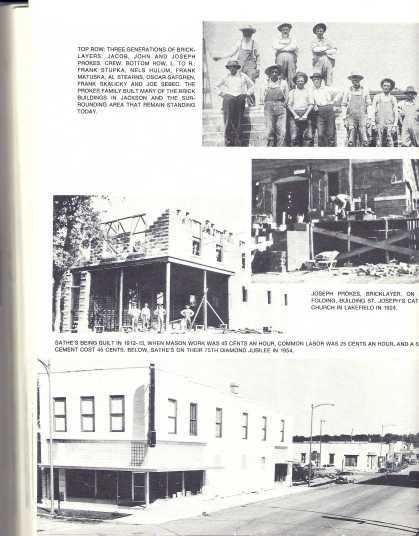 Also contained are names of businesses and the dates they existed, as well as names of mayors, doctors, vets, dentists, churchs, fire events, and their dates as well. 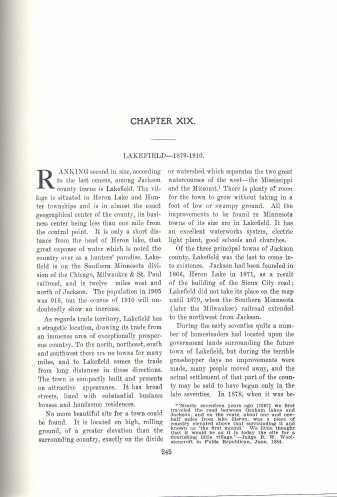 If you ever wanted a publication on the history of Lakefield, you should highly consider this one. 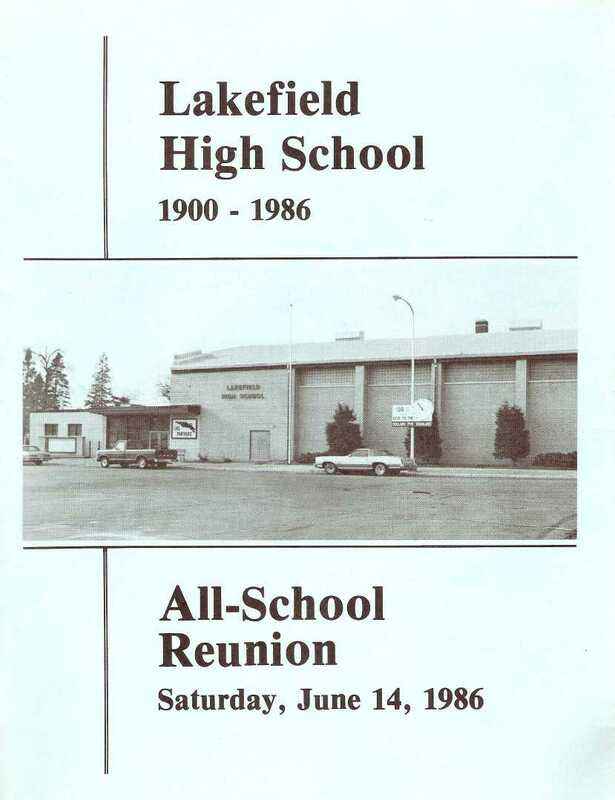 This soft-booklet contains brief histories of school events over the years and a sprinkling of memorable photos of sports teams, faculty, students/class photos, coaches, and bus drives. 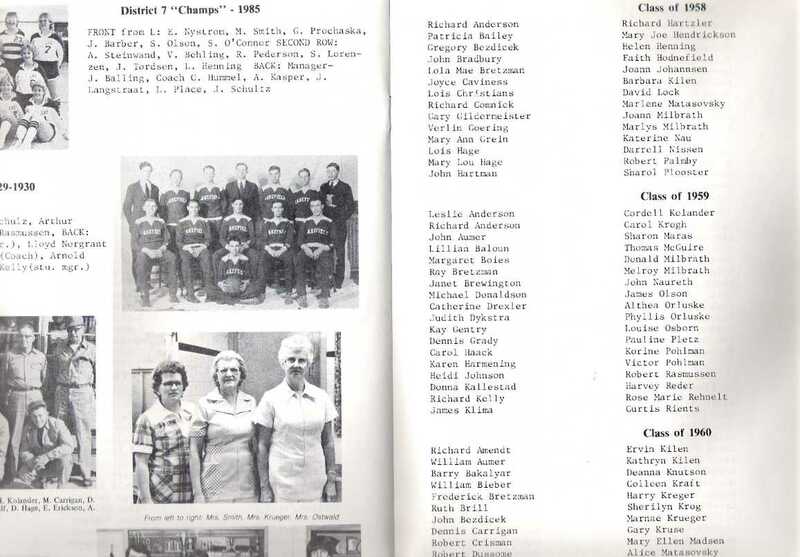 The booklet also contains student names from each graduating class from 1900-1986.